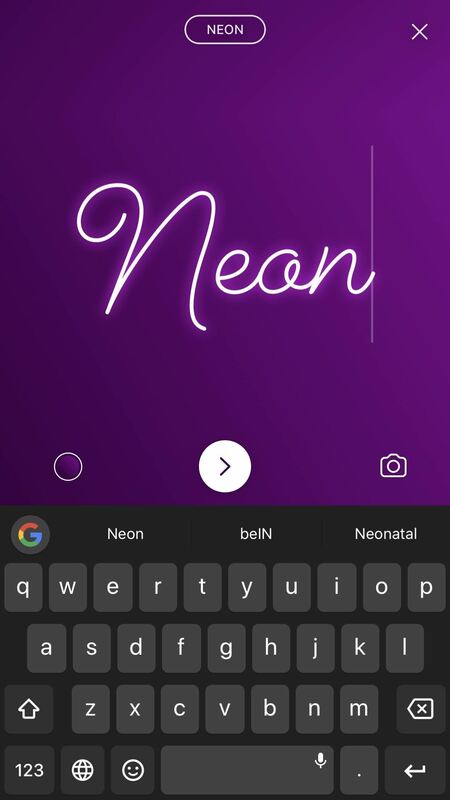 As far as customization goes, there are five different font types, unlike Facebook which only has one default font that you're stuck with, and some of them even let you justify text and add highlighted backgrounds to them. 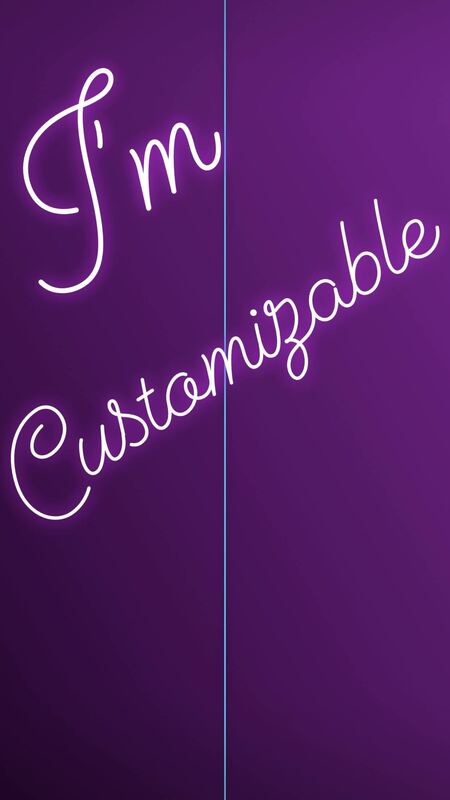 Additionally, there are many different font colors to choose from, and each font has its own set of either solid colors or gradients to choose from for the main background. And that's just the start of it. 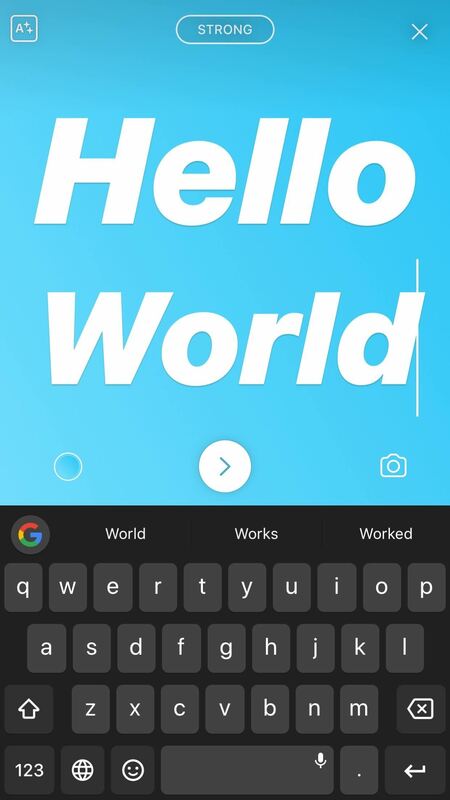 There are so many choices that it's a little bit overwhelming, so check out the guide below to see everything that you can do with Instagram's "Type" mode for stories. 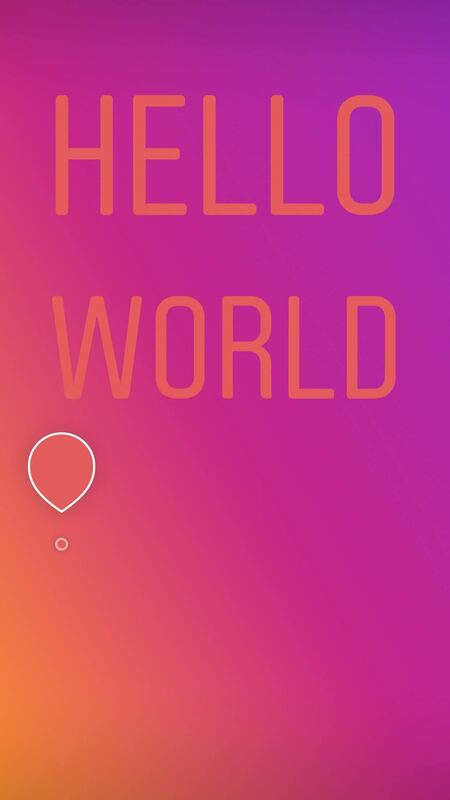 Maybe one day we'll also get this option for regular Instagram posts, but until then, stories are just fine. 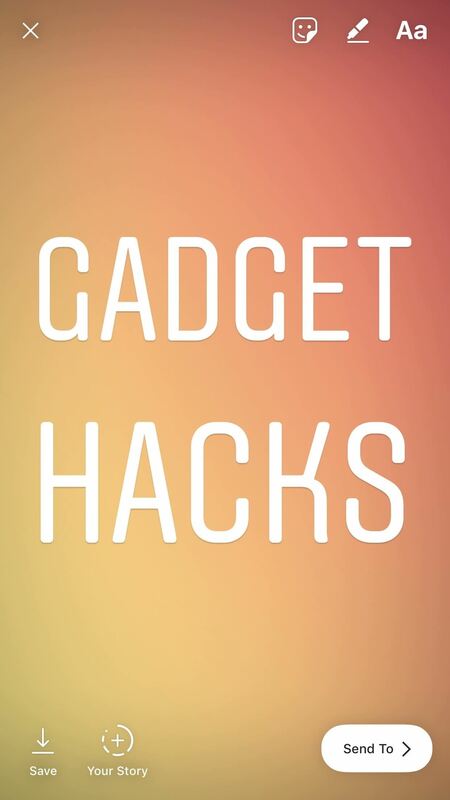 Note: You do need to be running Instagram version 30 or later for this feature. 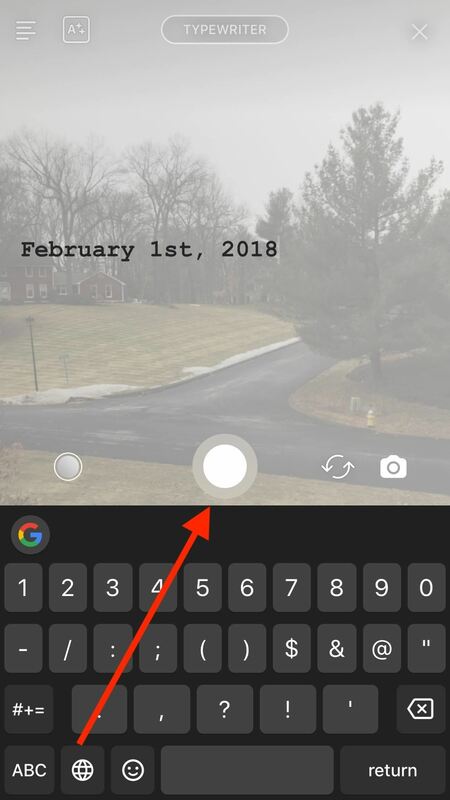 On the home screen, tap the camera icon in the top-left corner of the display or just swipe right to access the stories camera. Swipe to or tap on "Type" on the far-left end of the options bar at the bottom of the display. 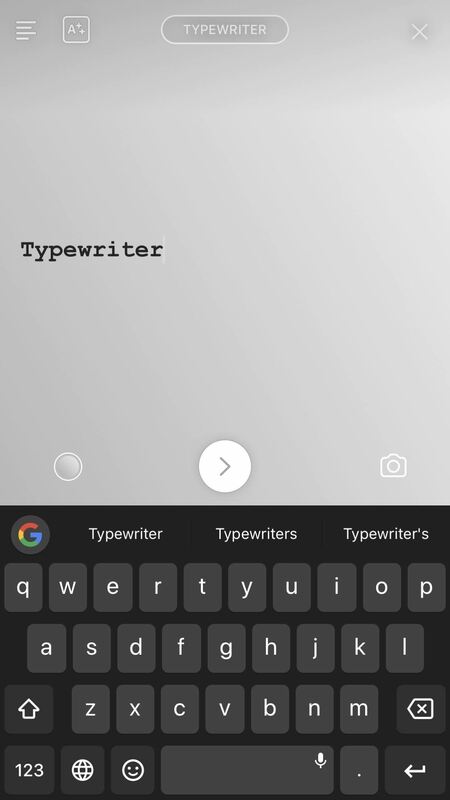 There are four font options here, Modern, Neon, Typewriter, and Strong, and you can swap between them by tapping on the title at the top of the display. (Tip: There's a hidden fifth font that you'll learn about in Step 6 below.) Each comes with not only its own font style but also its own suite of background colors. 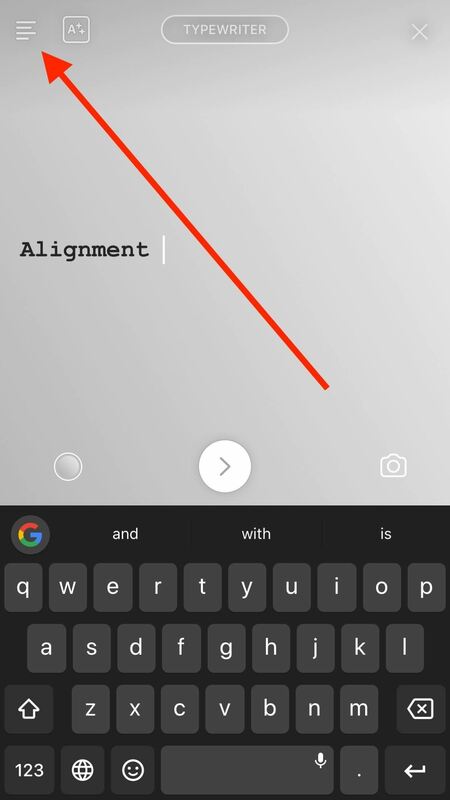 Swap between those by tapping the color circle in the bottom left of the display. 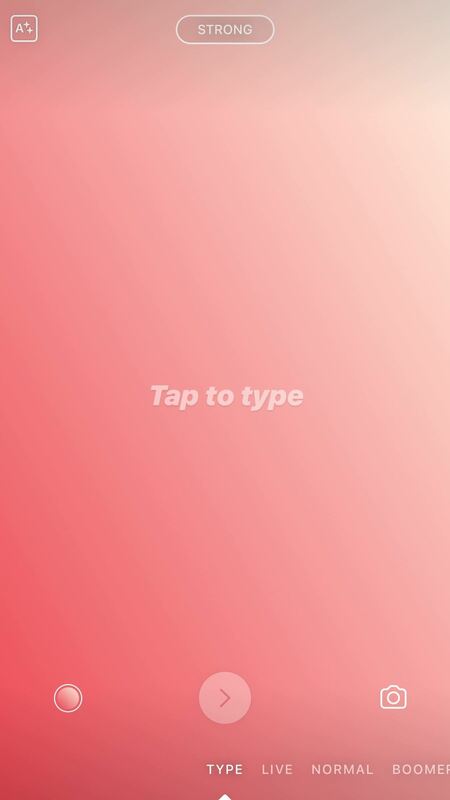 To begin typing, just tap on "Tap to type" in the middle of the screen. 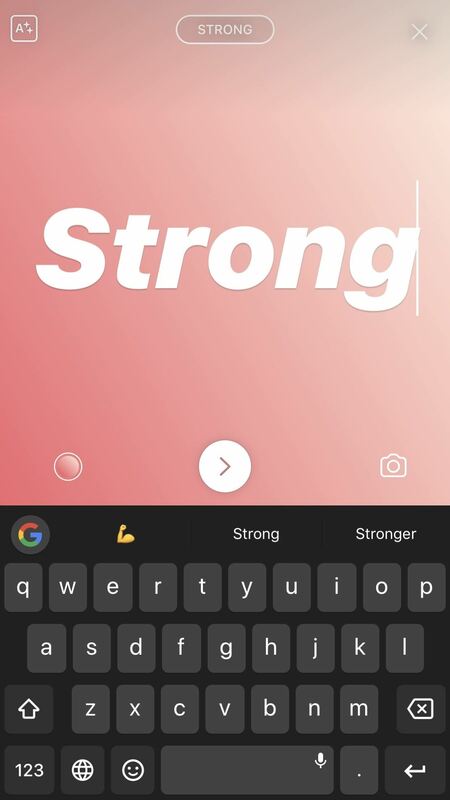 You can swap between font styles and background colors as you normally would even if you haven't finished typing, and you can tap your keyboard's return button to break up your text. 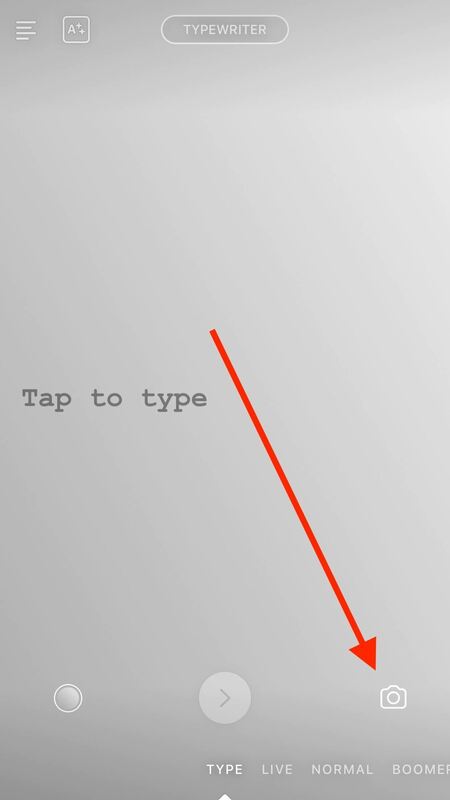 When you are finished typing, tap the arrow button below your text. 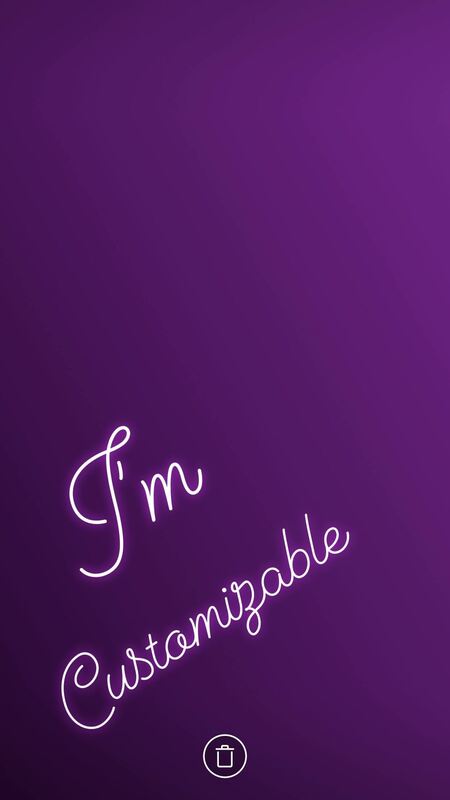 To start over, tap the "X" at the top of the display. 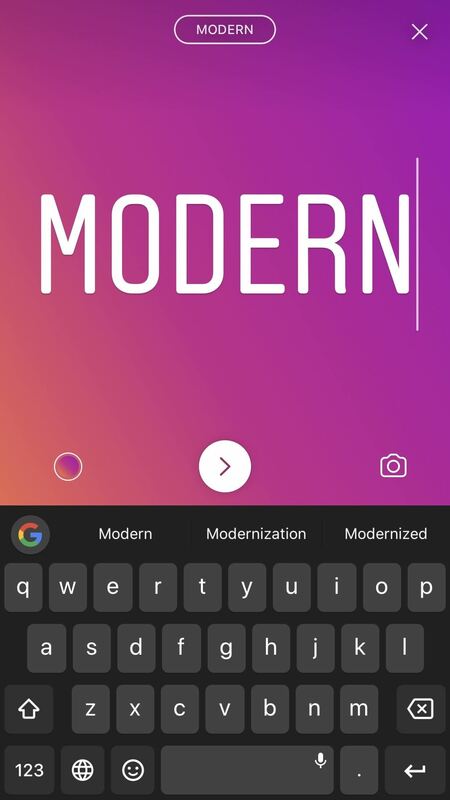 Modern and Neon do not have any additional style choices, but Typewriter and Strong do. 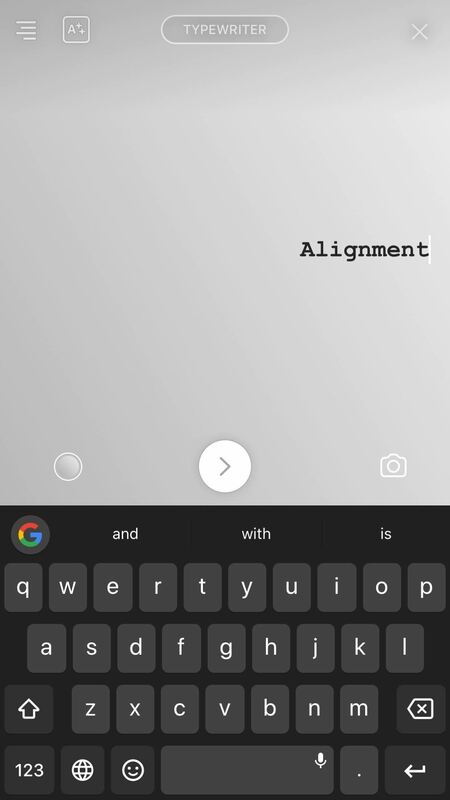 Typewriter gives you the option to change the orientation of your text by tapping the alignment icon in the top-left corner. By default, text will be left-aligned, but tap the icon to switch between right-aligned and centered. 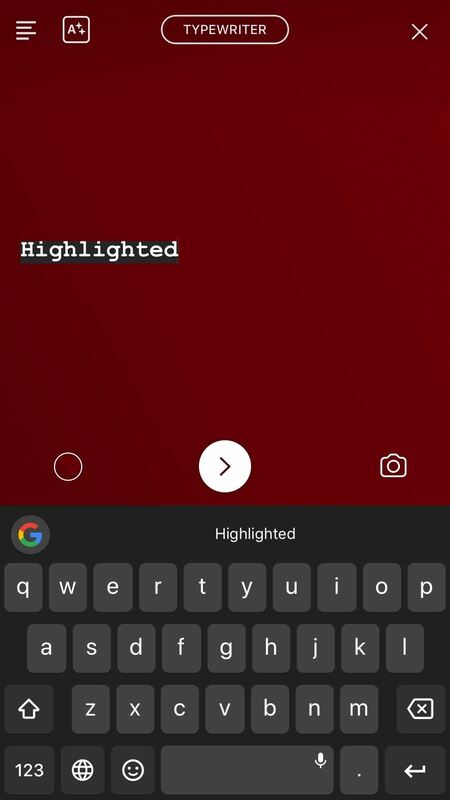 Both Typewriter and Strong give you the option to highlight the text. Tap the button with an uppercase "A" with stars, and your text will be highlighted. If using Strong, your highlight color will be based on the background color you have selected. 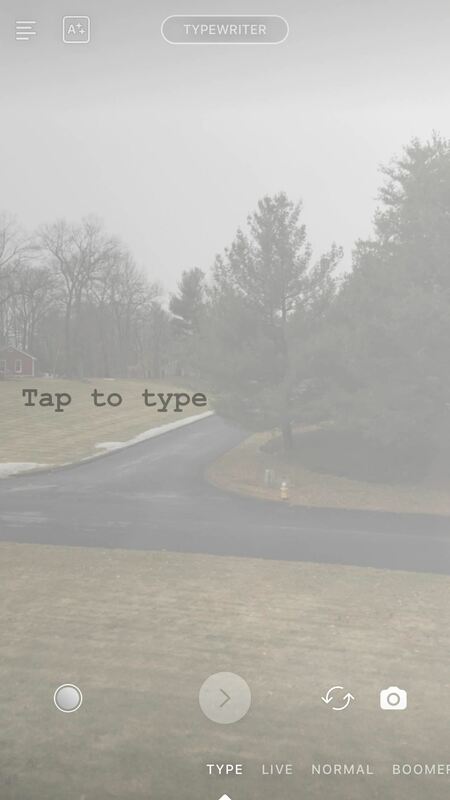 If you want a picture to appear behind your text, tap the camera icon. You will see your translucent camera feed appear behind your text and color. If you want to swap the cameras, tap the arrows next to the camera icon. Tap the shutter to both take your picture as well as finalize your text. 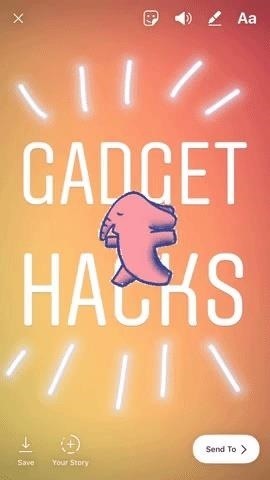 If you weren't done writing, just tap your text to jump back into the editor. 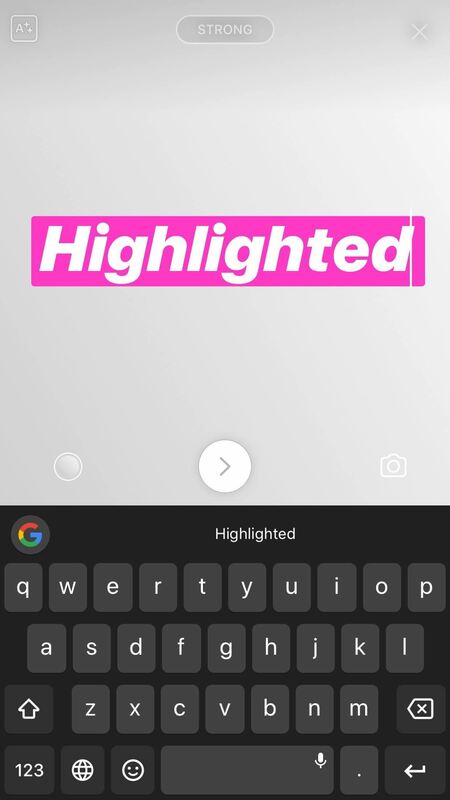 You can change the color of highlighted and non-highlighted text only after you have tapped the arrow button to "finish" your text. 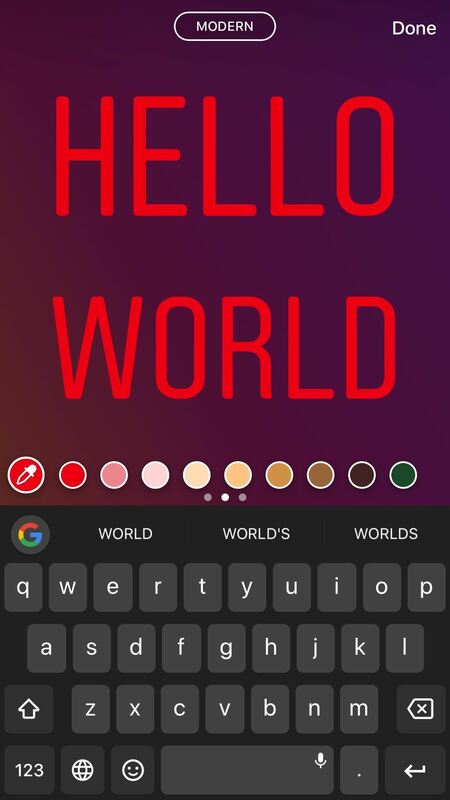 On the next screen, you can then simply tap the text to select a different color for the font. 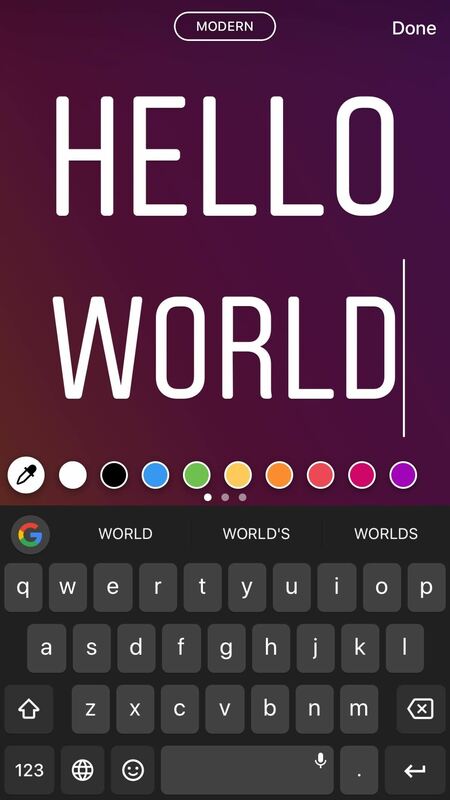 Tap on any of the colors from the bottom of the display to set it as the color for your text. There are three rows of colors to choose from — swipe on one row to switch the next. You can also use the eyedropper tool on the left to select a color from your post. A nice little touch is that you can also add or delete text if needed, as well as change the font type, so there's no going backward. You can make most of your final tweaks right here. There's also a hidden font type called "Classic" if you rotate through the types at the top, which gives you two different types of highlights, not just one, as well as justification options. When all of your edits are finished, tap "Done." 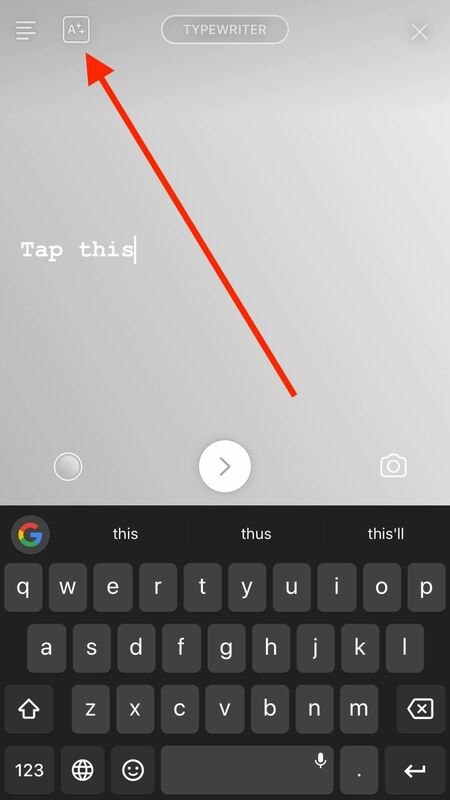 Once you tap the arrow button to finish your text (or tap on "Done" if further editing was needed), you can easily drag it around your story to place it wherever you want. Pinch in and out to decide how big the text should be, and rotate it to the angle you prefer. Guides will appear to help you place your message neatly. If you decide you don't like your text at all, simply drag it to the bottom of the display into the trash can that appears. It will delete itself and you can start new. You aren't just limited to your own text here — this is a typical story, after all. You can add animated GIF stickers, drawings, a frame, and even additional text if you'd like. Anything you can normally add to a story you can add right here. 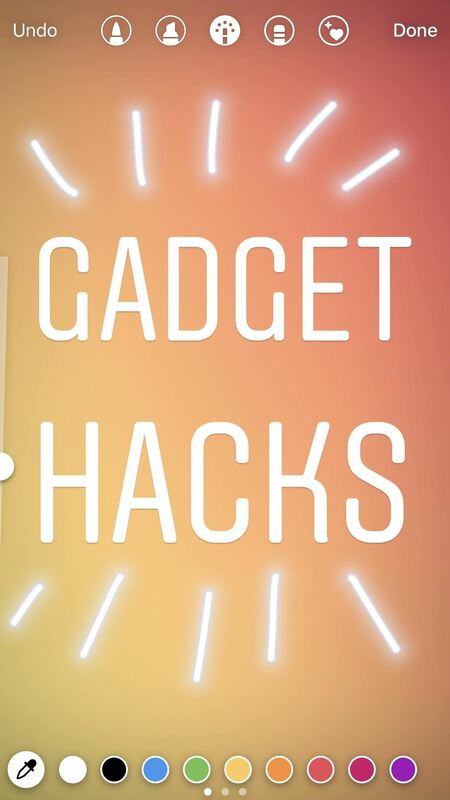 If you need any help when it comes to the rest of your Instagram stories, make sure to check out all of our Instagram tips and tricks on Gadget Hacks.